"Of course I am much better now, but it is a kindness of you to let me sleep in your cabin". 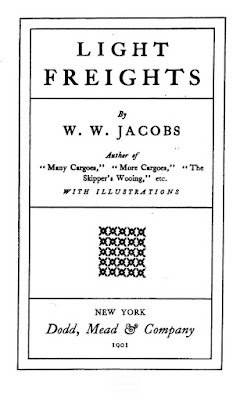 On his 'way out to the East' on the steamer Osiris, the narrator of Perceval Landon's story is approached by a solitary fellow passenger, Colvin, who nervously asks his permission to share his cabin on the voyage. It is an unusual request, and when asked for an explanation, Colvin describes a harrowing night he has recently spent at the house of the title. 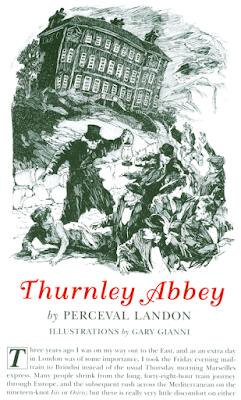 'Thurnley Abbey' is a traditional ghost story framed in something quite different (more of this later). And as a traditional ghost story it works well enough. Colvin has been invited by friends to the house of the title, an ivy-clad, part medieval, part Jacobean house full of tapestries, shadows and wood panelling, ostensibly to share in a weekend's entertaining. But it soon becomes clear that his friends have ulterior motives for inviting him. They are evasive, distracted. And there are rumours, of course, that the house is haunted. Just by what nobody seems to know, but a ghostly nun is mentioned. 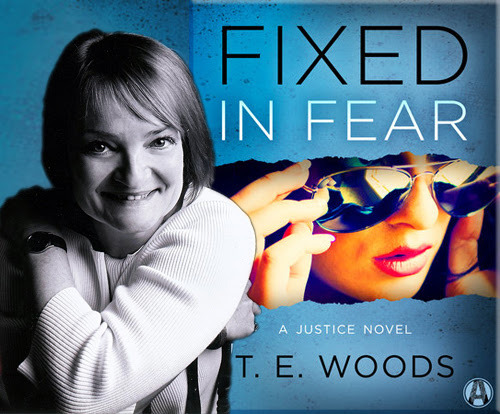 Today we have the pleasure of meeting up with author T. E. Woods to talk about Fixed in Fear (2015-12-08, Alibi, 298 pages), a Thriller, book five of the Justice series. 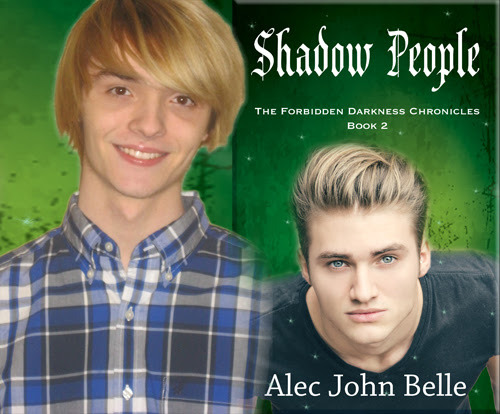 Today we have the pleasure of meeting up with author Alec John Belle to talk about Shadow People (14 December 2015, Booktrope Editions, 214 pages), a Young Adult Paranormal, book two of The Shadow People Chronicles series. Hello Alec; welcome back to BooksChatter. What compelled you to write Shadow People? "I’ve had the idea for this series in my head for a very long time. Over the course of a few years, other storylines and things came to mind and a lot of that is incorporated in this second book." 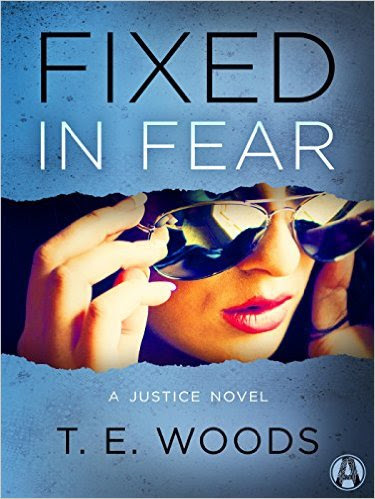 Thank you for joining us on the Virtual Book Tour for Fixed in Fear, a Thriller by T. E. Woods (8 December 2015, Alibi, 298 pages). This is the fifth book in the Justice series. PREVIEW: Check out the book's synopsis and excerpt below, as well as our Q&A with author T.E. Woods. Read the first four chapters with Amazon Look Inside. Please do take part: comment on our post and follow the tour where you will be able to read other excerpts (☀), interviews (ℚ) and reviews (✍). The Fixer returns in the pulse-pounding Justice series—perfect for fans of Lisa Gardner, Karin Slaughter, and Jeff Lindsay’s Dexter thrillers—as worlds collide in an inferno of bloodshed, revenge, and holy terror. Thank you for joining us on the Virtual Book Tour for Shadow People, a Young Adult Paranormal by Alec John Belle (14 December 2015, Booktrope Editions, 214 pages). 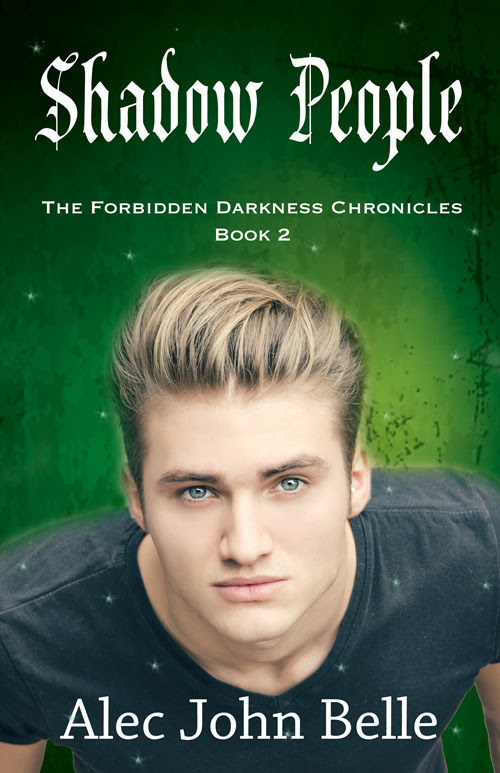 This is the second book in the The Forbidden Darkness Chronicles series. PREVIEW: Check out the book's synopsis and excerpt below. Read the first four chapters with Amazon Look Inside. Please do take part: comment on our post and follow the tour where you will be able to read other excerpts (☀), interviews (ℚ), reviews (✍) and guest blog posts (✉). Heather Hawkins, a newly changed Monster Hunter, thought life couldn't get any more complicated after the incident at the tower one week ago. With Kadin gone, she thinks life will finally go back to the way it should be. Until The Council calls a meeting for her and Hayden to discuss the incident. 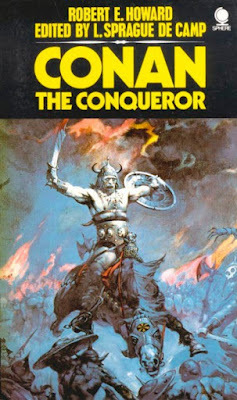 Conan of Cimmeria', published by Sphere. Something about the cover caught my attention from the start - the titles, in their bold, uncluttered light blue modern font; the dramatic artwork; the black background to the titles which gave the cover a unique look. I felt as though I was buying something quite different. Later, I discovered the whole Sphere Conan series at a WH Smiths in Romford. They covered an entire display case - all with the same format, only with different coloured titles for each book. And that wonderful artwork as well - as though Landseer had been let loose in the Dark Ages. I eventually discovered that the cover art was by Frank Frazetta, widely acknowledged as one of the great fantasy artists. 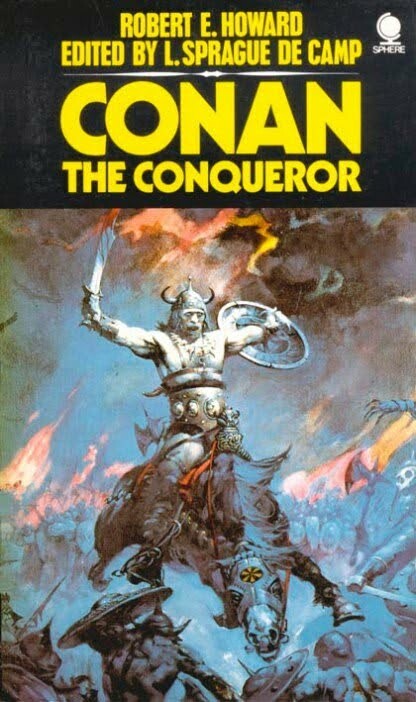 I soon bought 'The Fantastic Art of Frank Frazetta' and dreamed of lost Sphere 'Conan' books and the title colours that would go with each picture. In short, not only did the series look unique. It also set my imagination working. The same is true of the Michael Moorcock books published by Mayflower, also in the seventies. They all had a clean, white modern font that set them apart on the bookshelves, and a cover design that was a mixture of psychedelia and Tibetan religious art. 'The King of the Swords' is still my favourite. There was a look to the covers that made you want to collect them all. The same could be said of sci-fi artist Chris Foss's iconic designs for Isaac Asimov's books, almost photographic in their realism, blazingly colourful, but again with a title font that was clear and recognizably Asimov. 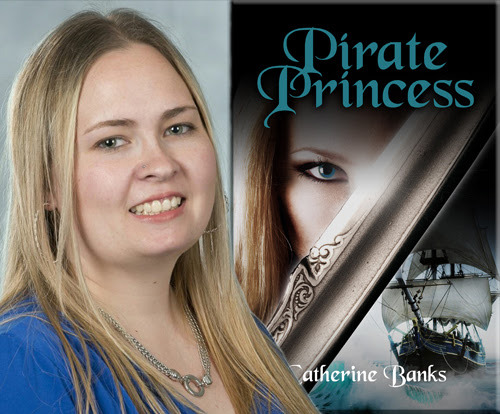 Today we have the pleasure of meeting up with author Catherine Banks to talk about Pirate Princess (12 October 2015, Catherine Banks, 441 pages). 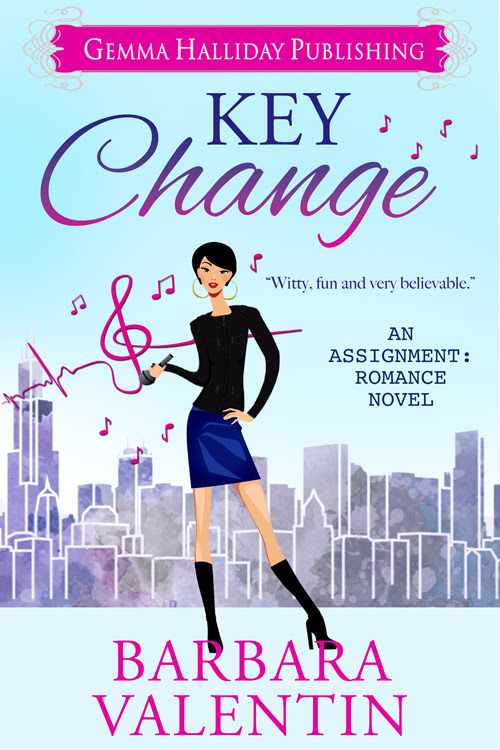 Thank you for joining us on the Virtual Book Tour for Key Change, a Romantic Comedy by Barbara Valentin (2 December 2015, Gemma Halliday Publishing, 236 pages). This is the third book in the Assignment: Romance series. PREVIEW: Check out the book's synopsis and excerpt below, as well as our Q&A with author Barbara Valentin. Read the first two chapters with Amazon Look Inside. Author Barbara Valentin will be awarding a $25 Amazon gift card to a randomly drawn winner via Rafflecopter during the tour. Please do take part: comment on our post and follow the tour where you will be able to read other excerpts (☀), interviews (ℚ), reviews (✍) and guest blog posts (✉). The first thing Sara Cleff, a hard-edged, shower-singing rock music critic, wants to do after following a band on tour is crawl into her nice comfy bed in her well-appointed, optimally located vintage apartment. 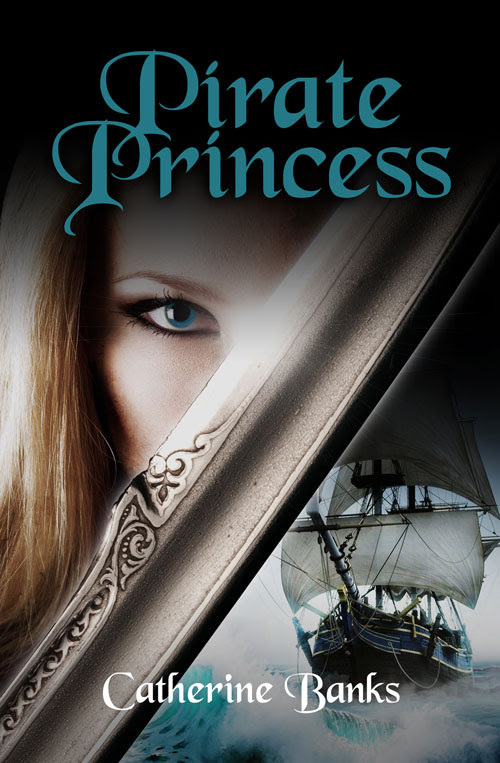 Thank you for joining us on the Virtual Book Tour for Pirate Princess, a Young Adult / New Adult Fantasy by Catherine Banks (12 October 2015, Catherine Banks, 441 pages). PREVIEW: Check out the book's synopsis and excerpt below. Read the first chapter with Amazon Look Inside. Please do take part: comment on our post and follow the tour where you will be able to read other excerpts (☀), interviews (ℚ), and reviews (✍). As the daughter of the Pirate King, Tilia Swanson has an unusual upbringing learning skills that aren't often available for women. As the heir apparent for the Kingdom of Crilan, her skills set her apart as she is trained by the best in the land and taught to harness her magic. However, piracy is in her blood, and draws danger to her in the way that treasure draws pirates. Some treasures are more valuable than others. Will this lesson be learned in time or will the betrayal of those around her be her undoing? 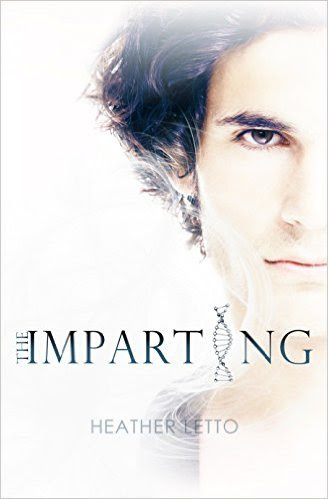 Thank you for joining us on the Virtual Book Tour for The Imparting, a Young Adult Dystopian novel by Heather Letto (15 December 2015, Heather Letto, 180 pages). This is the third and final book in the Ascension series. The Imparting is FREE on Kindle Unlimited and Kindle Owner's Lending Library. Author Heather Letto will be awarding a $25 Amazon gift card, and an e-copy of full trilogy to randomly drawn winners via Rafflecopter during the tour. 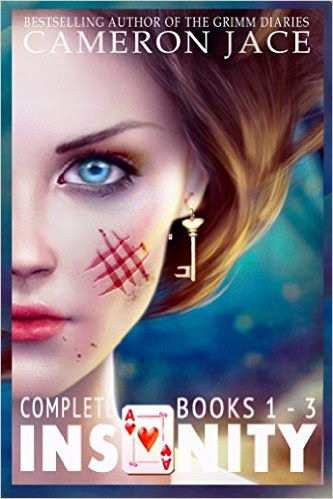 Thank you for joining us on the Virtual Book Tour for Insanity: The Complete Books 1-3, a New Adult Paranormal Fantasy series by Cameron Jace (28 October 2015, Storykiller Books, 882 pages). This collection includes the first three books in the Insanity series. PREVIEW: Check out the book's synopsis and excerpt below, as well as details of all five books currently in the series. Read the Prologue and the first twenty-three chapters from Book One, Insanity, with Amazon Look Inside. Insanity: The Complete Books 1-3 is FREE on Kindle Unlimited and Kindle Owner's Lending Library. Author Cameron Jace will be awarding one (1) ebook copy of The Insanity Series (the #1-3 boxed set) to one of our readers, and a paperback copy to a randomly drawn winner via Rafflecopter during the tour. 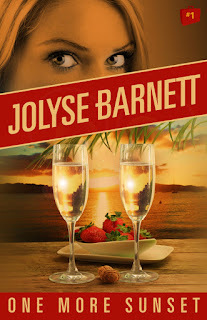 Today we have the pleasure of meeting up with author Jolyse Barnett to talk about One More Sunset (18 September 2015, Booktrope Editions, 171 pages), a Romantic Suspense, book one of the Mystic Escapes series. A very warm welcome to Jolyse Barnett, thank you for joining us today. To start, Jolyse has shared with us her music playlist for One More Sunset (albeit we were unable to locate the last track, Sandy Feet and Salty Kisses – Howard Livingston & Mile Marker 24 ) - enjoy! One of the best classic ghost stories may not even have a ghost at all. 'Jerry Bundler' [published 1901 in the collection Light Freights] by W.W. Jacobs, who also wrote the more famous 'The Monkey's Paw', has all the ingredients of a good traditional chiller - it takes place over Christmas, in an old coaching inn, and begins with that ghost story staple: a group of friends telling eachother scary stories by the fireside. 'Jerry Bundler' takes place in the fictional market town of Torchester, in the various rooms of the Boar's Head Inn. It is a story that is built on rising tension, and this tension builds almost innocuously from the start. In a true horror cliche, one of the stories proves 'so enthralling' that the waiter, 'whose presence had been forgotten, [creates] a very disagreeable sensation by suddenly starting up from a dark corner and gliding silently from the room'. Of course, it turns out that there is a ghost associated with the inn. This one's name is Jerry Bundler, a one-time highwayman and pickpocket, who was pursued to the same inn and found by his pursuers in one of the bedrooms 'dangling from the top of the bed by his own handkerchief'. His ghost has since haunted the Boars Head; one old gentleman relates the experience of his father when he stayed there, and the ghost 'lowered itself on top of his bed and tried to strangle him'. 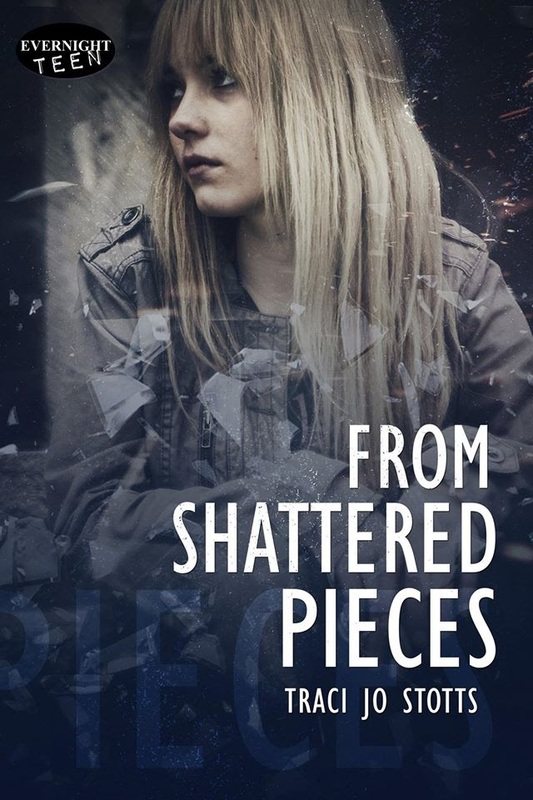 Thank you for joining us on the Virtual Book Tour to celebrate the release of From Shattered Pieces, a Young Adult Contemporary Romance by Traci Jo Stotts (11 December 2015, Evernight Teen, 204 pages). From Shattered Pieces is an Evernight Teen Editor's Pick. PREVIEW: Check out the book's synopsis and excerpt below. Read the first three chapters with Amazon Look Inside. Author Traci Jo Stotts will be awarding a $25 Amazon gift card to a randomly drawn winner via Rafflecopter during the tour. Please do take part: comment on our post and follow the tour where you will be able to read other excerpts (☀), interviews (ℚ), reviews (✍) and guest blog posts (✉). Thank you for joining us on the Virtual Book Tour for The Holiday Killer, a Crime Thriller by Holly Hunt (13 December 2015, Holly Hunt, 132 pages). PREVIEW: Check out the book's synopsis and excerpt below. Read the first two chapters with Amazon Look Inside. 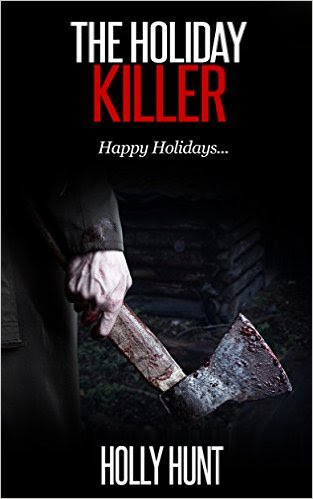 The Holiday Killer is FREE on Kindle Unlimited and Kindle Owner's Lending Library. Author Holly Hunt will be awarding ebook copies of her back catalogue (previous six novels) to a randomly drawn winner via Rafflecopter during the tour. Around the world, Christmas Eve is a time of joy, hope and new beginnings, where children open presents, parents smile, and all is right with the world. Except in Matryville. 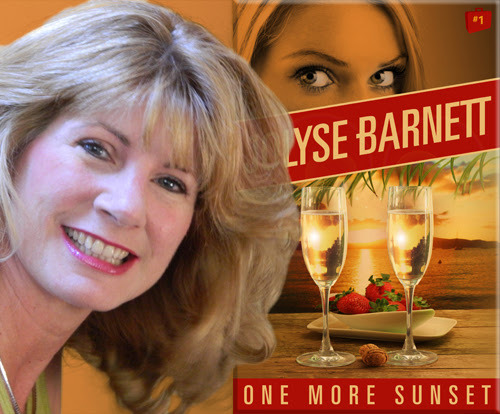 Thank you for joining us on the Virtual Book Tour for One More Sunset, a Romantic Suspense novel by Jolyse Barnett (18 September 2015, Booktrope Editions, 171 pages). This is the first book in the Mystic Escapes series. PREVIEW: Check out the book's synopsis and excerpt below, as well as our Q& with author Jolyse Barnett. Read the first three chapters with Amazon Look Inside. One More Sunset is FREE on Kindle Unlimited and Kindle Owner's Lending Library. Jolyse Barnett will be awarding One More Sunset Swag to a randomly drawn winner via Rafflecopter during the tour. Please do take part: comment on our post and follow the tour where you will be able to read other excerpts (☀), interviews (ℚ), reviews (✍) and guest blog posts (✉). Today we have the pleasure of meeting up with author G.W. 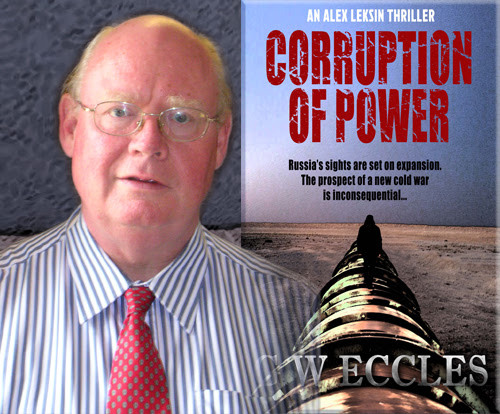 Eccles to talk about his new release, Corruption of Power (14 December 2015, Peach Publishing, 320 pages), a Political Thriller, book two of Alex Leksin series. A very warm welcome to G.W. Eccles; thank you for joining us on BooksChatter! 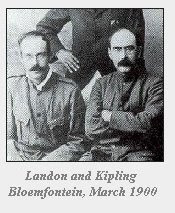 What was the inspiration for Corruption of Power? "The action of Corruption of Power takes place principally in Moscow and Central Asia, and it is based on the premise that the corruption in both countries runs right to the top. 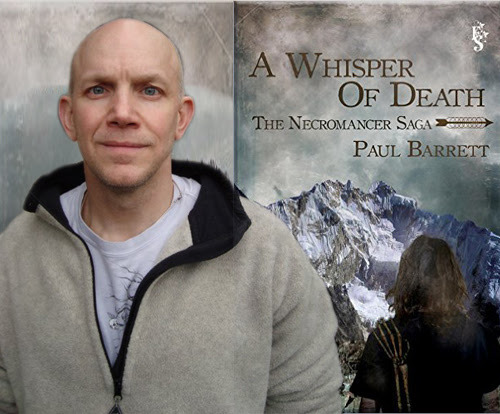 Today we have the pleasure of meeting up with author Paul Barrett to talk about Whisper of Death (22 December 2015, Fiery Seas Publishing, LLC, 345 pages), a Young Adult Dark Fantasy, book one of The Necromancer Saga. Hello Paul, thank you for joining us on BooksChatter! What was the inspiration for Whisper of Death? "The initial idea sprang up in the 1990’s, when some friends and I were playing a session of Rolemaster (our favourite RPG system at the time and still one of my all-time favourites) and we got to talking about Necromancers, and would it be possible for them to ever be “good”, and if they were, would people accept that they were good, despite the somewhat icky things they do. 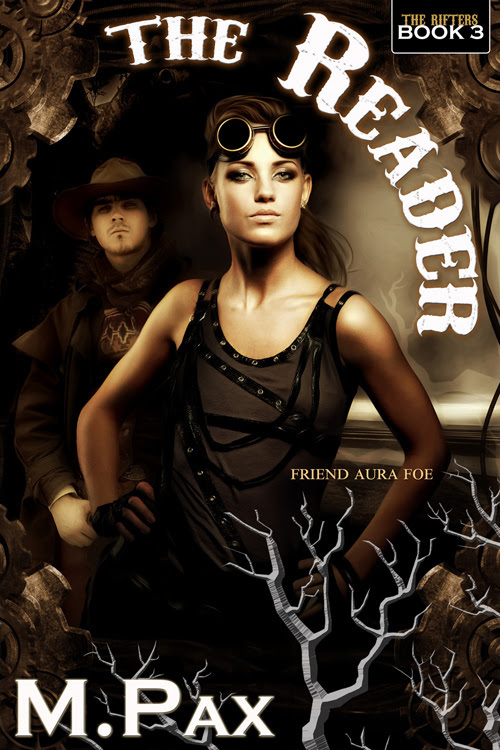 Thank you for joining us on the Virtual Book Tour for The Reader, a Fantasy by M. Pax (20 November 2015,M. Pax, 252 pages). This is the third book in the The Rifters series. Get the first two books FREE by becoming an M. Pax Reader. PREVIEW: Check out the book's synopsis and excerpt below, as well as details about the first two book in the series. Read the first three chapters with Amazon Look Inside. See what inspires The Rifters on Pinterest. Author M. Pax will be awarding a $40 Amazon/BN gift card to a randomly drawn winner via Rafflecopter during the tour. Please do take part: comment on our post and follow the tour where you will be able to read other exclusive excerpts (☀). Thank you for joining us on the Virtual Book Tour for Relentless, a Romantic Suspense by Vanessa Dare (first published 15 September 2014 as 'Hot Pursuit 1' by J. Zane; this edition 15 December 2015, Vanessa Vale, 328 pages). PREVIEW: Check out the book's synopsis and excerpt below. Read the first two chapters with Amazon Look Inside. 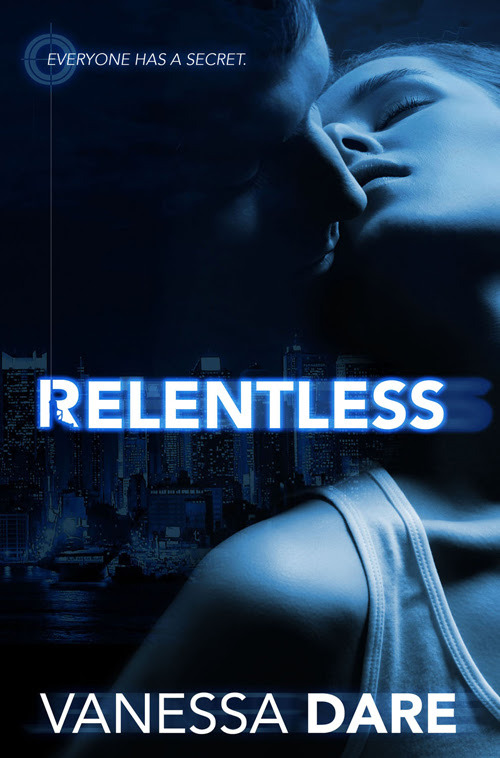 Author Vanessa Dare will be awarding an ebook of Relentless to a randomly drawn winner via Rafflecopter during the tour. Please do take part: comment on our post and follow the tour where you will be able to read other excerpts (☀) and reviews (✍). A fun weekend at a friend’s wedding in Denver takes a bizarre twist for Anna Scott when her rental car is pulled over due to an “anonymous tip.” In her trunk…a dead man linked to warring crime families in Denver and New York. Thank you for joining us on the Virtual Book Tour to celebrate the forthcoming release of Whisper of Death, a Young Adult Dark Fantasy by Paul Barrett (22 December 2015, Fiery Seas Publishing, LLC, 345 pages). This is the first book in The Necromancer Saga series. PREVIEW: Check out the book's synopsis, trailers and excerpt below, as well as our Q&A with author Paul Barrett. Read the first three chapters with Kobo Preview. 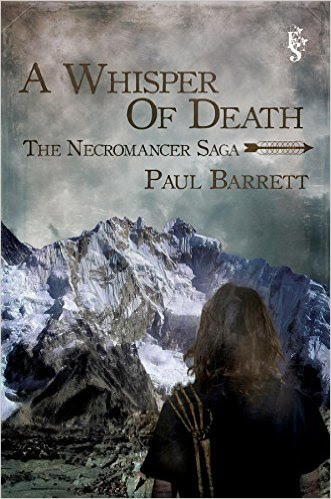 Paul Barrett will be awarding two paperback and five digital copies of Whisper of Death to randomly drawn winners via Rafflecopter during the tour. Please do take part: comment on our post and follow the tour where you will be able to read other interviews (ℚ), reviews (✍) and guest blog posts (✉). 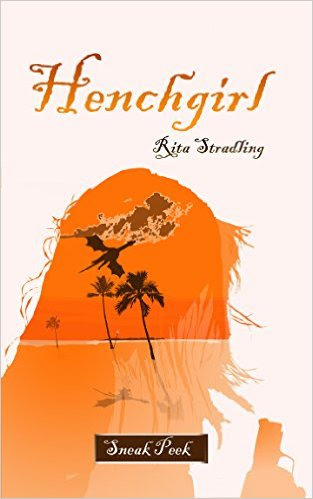 Today we have the pleasure of meeting up with author Rita Stradling to talk about Henchgirl (12 January 2016, Rita Stradling, 426 pages), a Young Adult Urban Fantasy, book one of Dakota Kekoa series. A very warm welcome to Rita Stradling; thank you for joining us today. 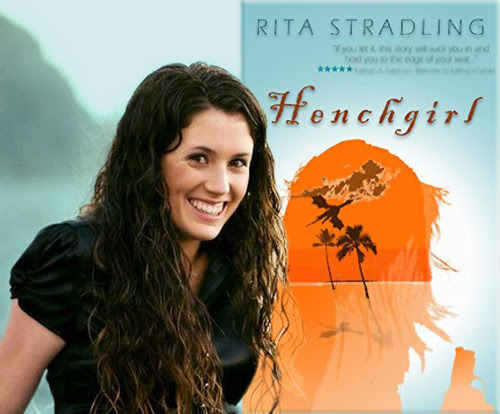 Here at BooksChatter we love music, so Rita Stradling has shared with us her music playlist for Henchgirl - enjoy! 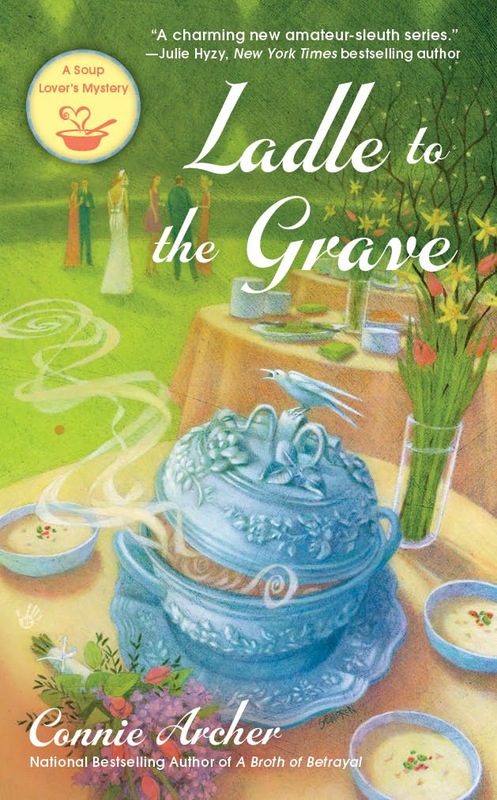 Thank you for joining us on the Virtual Book Tour for Ladle to the Grave, a Mystery by Connie Archer (3 March 2015, Berkley, 304 pages). This is the fourth book in the Soup Lover's Mysteries series. PREVIEW: Check out the book's synopsis and excerpt below, as well as details about all of the other books in the series, including the next instalment, A Clue In The Stew, which is currently available for pre-order. Read the first four chapters of Ladle to the Grave with Amazon Look Inside. Author Connie Archer will be awarding a $20 Amazon/BN gift card to a randomly drawn winner via Rafflecopter during the tour. Please do take part: comment on our post and follow the tour where you will be able to read other excerpts (☀) and reviews (✍). 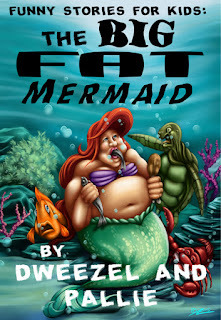 Thank you for joining us on the Virtual Book Tour for The Big Fat Mermaid, a Middle Grade Fractured fairy tale by Dweezel and Pallie (17 November 2015, Dweezel and Pallie eBooks, 92 pages). This is the second book in the Funny Stories for Kids series, and it is currently on sale for ONLY .99! PREVIEW: Check out the book's synopsis and excerpt below, as well as details of the first title in the series, Lily White and the Horrible Dwarves (FREE to download). Author Dweezel and Pallie will be awarding a $30 Amazon/BN gift card to a randomly drawn winner via Rafflecopter during the tour. Please do take part: comment on our post and follow the tour where you will be able to read other excerpts (☀) and reviews (✍). Thank you for joining us on the Virtual Book Tour for Coming Home, a New Adult Romantic Suspense series by Meli Raine. Download the first book, Return, FREE, and for a limited time, pick up the second book, Revenge, for only .99! PREVIEW: Check out details about each book in the series, including synopsis and excerpt.. 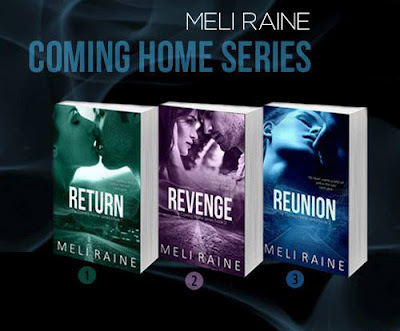 Author Meli Raine will be awarding one (1) ebook copy of the Coming Home series (books 1-3) to one of our readers,and a $25 Starbucks gift card + signed print copies of all 3 books a randomly drawn winner via Rafflecopter during the tour. 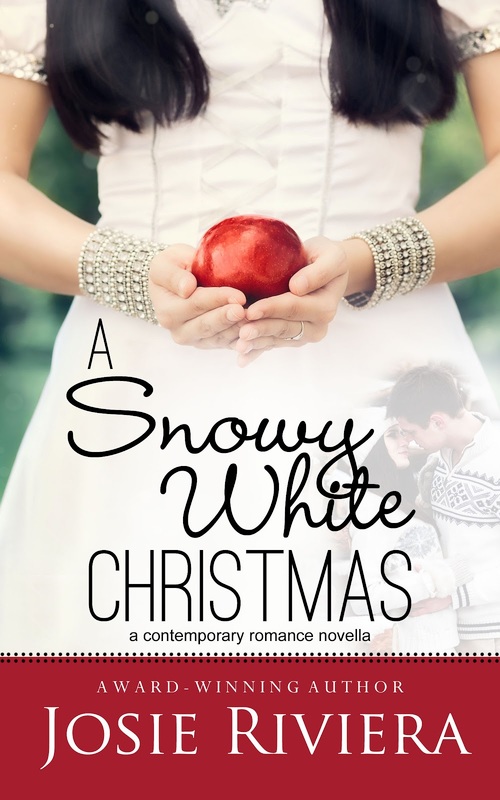 Thank you for joining us on the Virtual Book Tour for A Snowy White Christmas, a Sweet Contemporary Romance by Josie Riviera (28 October 2015, Josie Riviera, 116 pages). Author Josie Riviera will be awarding a $10 Amazon/BN gift card to a randomly drawn winner via Rafflecopter during the tour. Please do take part: comment on our post and follow the tour where you will be able to read other excerpts (☀) and reviews (✍). Margaret Snow doesn’t believe in fairy tales, but as a devoted mother she’s determined to give her five-year-old daughter a Christmas filled with heart-warming memories. 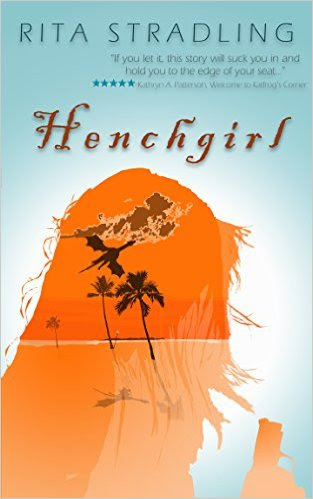 Thank you for joining us on the Virtual Book Tour for Henchgirl, a Young Adult Urban Fantasy by Rita Stradling (12 January 2016, Rita Stradling, 426 pages). This is the first book in the Dakota Kekoa series. PREVIEW: Check out the book's synopsis, a 'just for fun' trailer and excerpt below, as well as our Q&A with author Rita Stradling. Nook UK, Kobo, iBooks, Barnes & Noble, or read it on Wattpad. Today we have the pleasure of meeting up with author Gabriele Goldstone to talk about Broken Stone (17 November 2015, Rebelight Publishing Inc., 164pages) a Middle Grade Historical Fiction novel, book two of the Katya's Stones series. "With a broken stone clenched tight in her hand, twelve-year-old Katya flees the Soviet Union for an uncertain future in 1930s Germany. Will it be a better place for kulak orphans like her? Will her broken stone help or hinder her growth into young adulthood?" 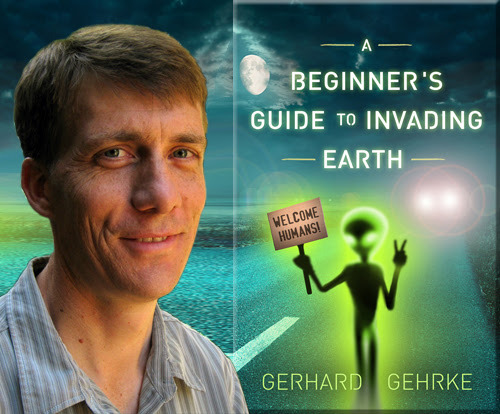 Today we have the pleasure of meeting up with author Gerhard Gehrke to talk about A Beginner's Guide to Invading Earth (26 August 2015, Booktrope Editions, 326 pages), a Science Fiction novel. A very warm welcome to Gerhard Gehrke; thank you for joining us today. Here at BooksChatter we love music; do you have a music playlist that you used in A Beginner's Guide to Invading Earth, or which inspired you whilst you were writing it? Thank you for joining us for the Release Day Party for Bleizgeist, a New Adult Dark Fantasy by Hazel Butler (10 December 2015, Astrid Press, 94 pages). 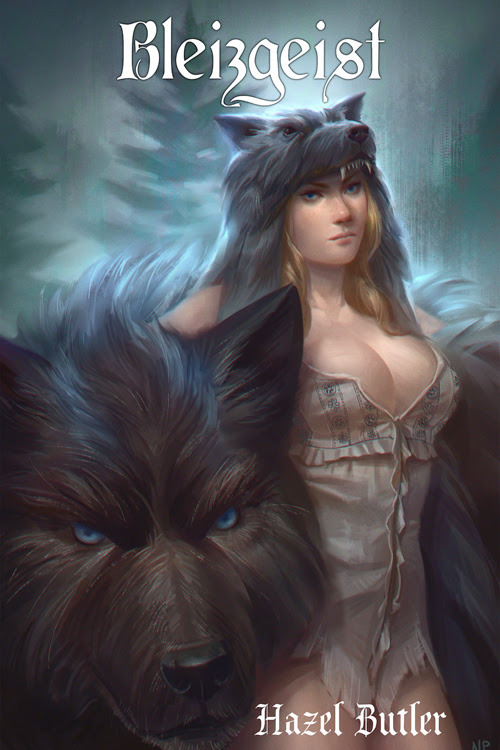 Also check out the two guest posts by author Hazel Butler: Unleash the Night: Dark Fantasy and Allegory and Why Write Strong Female Leads? Because You’re Still Asking That Question . Author Hazel Butler will be awarding one (1) ebook copy of Bleizgeist to one of our readers, and five Paperback Copies of Bleizgeist, + Fine Art Giclee Print of the Cover Art to a randomly drawn winner via Rafflecopter during the tour. Ingary is a harsh land. Cursed by a perpetual winter, the isolated little town has all but forget why they worship the wolf. 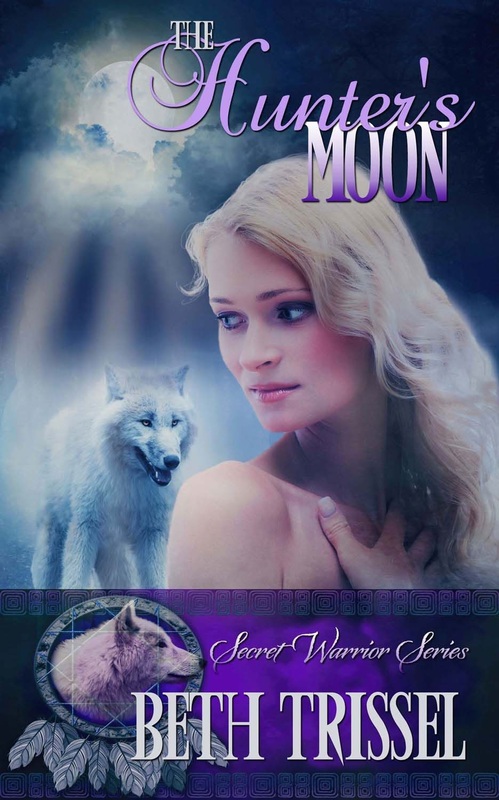 Thank you for joining us on the Release Party for The Hunter's Moon, a Young Adult Fantasy Romance by Beth Trissel (14 December 2015, The Wild Rose Press, Inc, 133 pages). This is the first book in the Secret Warrior series. PREVIEW: Check out the book's synopsis and excerpt below. Author Beth Trissel will be awarding a $30 Amazon/BN gift card to a randomly drawn winner via Rafflecopter during the tour. Please do take part: comment on our post and follow the tour where you will be able to read other excerpts (☀) and reviews (✍). Seventeen year old Morgan Daniel has been in the witness protection program most of her life. But The Panteras have caught up with her and her younger brother. Her car is totaled, she's hurt, and the street gang is closing in when wolves with glowing eyes appear out of nowhere and chase away the killers. 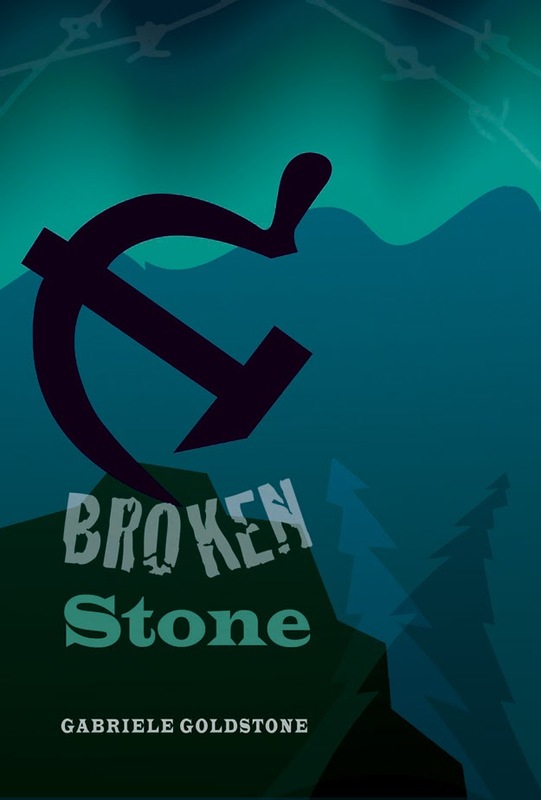 Thank you for joining us on the Virtual Book Tour for Broken Stone, a Middle Grade Historical Fiction novel by Gabriele Goldstone (17 November 2015, Rebelight Publishing Inc., 164 pages). This is the second book in the Katya's Stones series. PREVIEW: Check out the book's synopsis below, as well as details of the first book in the series. 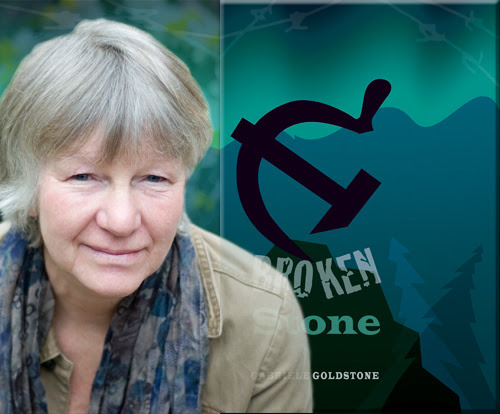 Do not miss our Q&A with author Gabriele Goldstone, and visit her blog for The story behind Broken Stone. Author Gabriele Goldstone will be awarding two (2) physical copies (US/Canada), and five (5) digital copies of Broken Stone by Gabriele Goldstone (INT) to randomly drawn winners via Rafflecopter during the tour. Please do take part: comment on our post and follow the tour where you will be able to read other interviews (ℚ), reviews (✍) and guest blog posts (✉). 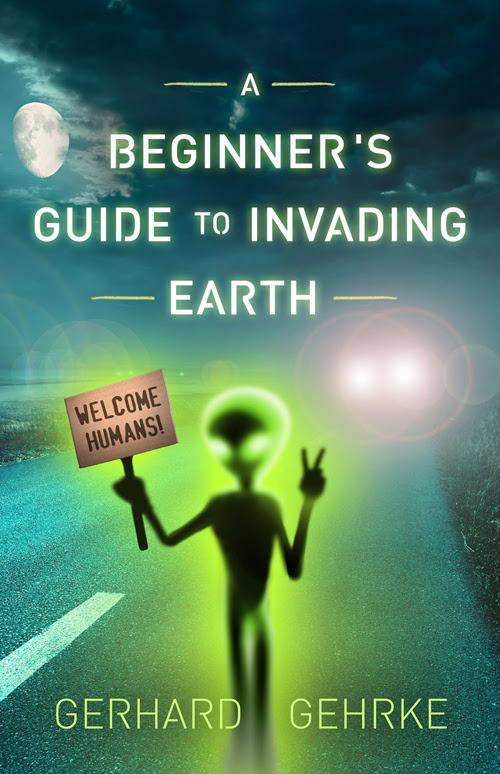 Thank you for joining us on the Virtual Book Tour for A Beginner's Guide to Invading Earth, a Science Fiction novel by Gerhard Gehrke (14 January 2015; this edition 26 August 2015, Booktrope Editions, 326 pages). PREVIEW: Check out the book's synopsis, trailer and excerpt below, as well as our Q&A with author Gerhard Gehrke. Read the first six chapters with Amazon Look Inside. Gerhard Gehrke will be awarding a $10 Amazon/BN gift card to a randomly drawn winner via Rafflecopter during the tour. Please do take part: comment on our post and follow the tour where you will be able to read other excerpts (☀), interviews (ℚ), reviews (✍) and guest blog posts (✉). 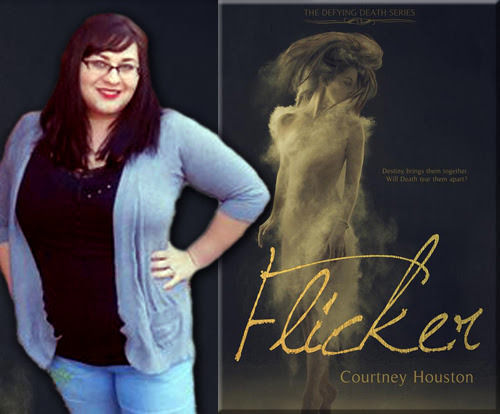 Today we have the pleasure of meeting up with author Courtney Houston to talk about Flicker (31 August 2014, Courtney Houston, 322 pages), a Paranormal Romance, book one of the Defying Death series, as well as the second title in the series, Shatter, and her future projects. Hello Courtney, welcome to BooksChatter! We love music, so Courtney Houston has shared with us her music playlist for Flicker - enjoy! Thank you for joining us on the Virtual Book Tour for Happily Ever After: A Day in the Life of the HEA, a New Adult Contemporary Romance by J.A. Huss (16 December 2015, Science Future Press, 87 pages). This is the eight book in the Rook & Ronin series. PREVIEW: Check out the book's synopsis and excerpt below, as well as details about each title in the series. 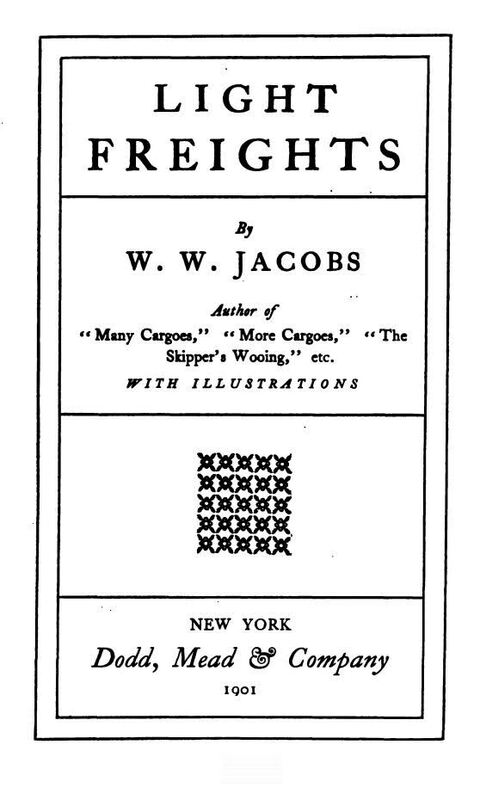 Author J.A. Huss will be awarding ten Signed copies of HEA AND Original Cover for Tragic, PLUS, four $25 gift cards to randomly drawn winners via Rafflecopter during the tour. 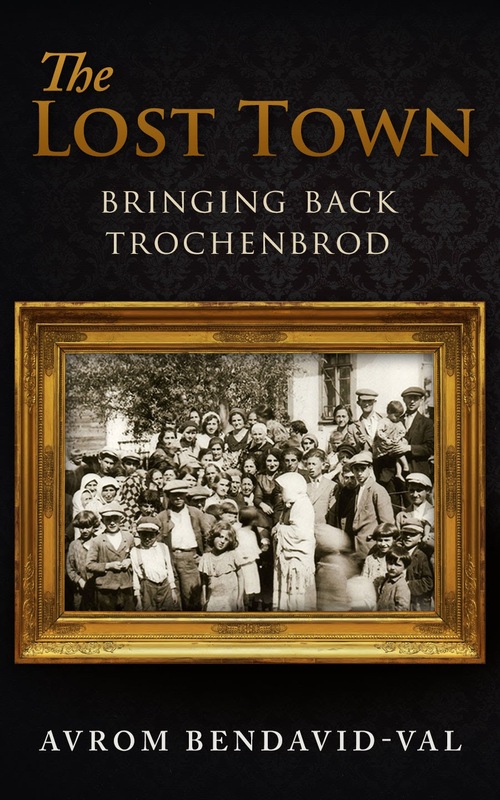 Thank you for joining us on the first day of the Virtual Book Tour for The Lost Town: Bringing Back Trochenbrod, a Young Adult Non-Fiction book by Avrom Bendavid-Val (20 September 2015, Bacon Press Books, 139 pages). PREVIEW: Check out the book's synopsis and excerpt below. Read the Introduction and the first chapter with Amazon Look Inside. The Lost Town: Bringing Back Trochenbrod is FREE on Kindle Unlimited and Kindle Owner's Lending Library. Author Avrom Bendavid-Val will be awarding a $10 Amazon/BN gift card to a randomly drawn winner via Rafflecopter during the tour. Please do take part: comment on our post and follow the tour where you will be able to read other excerpts (☀).